Has it always been your dream to position yourself to comfortably retire early? Effective estate planning can go a long way to helping you realize that dream. If you’re like most people, you have at one time or another allowed yourself the indulgence of imagining what it would be like to retire early and spend the rest of your life pursuing the things you really want to do. Most of us have those thoughts from time to time, but few of us ever take the notion seriously enough to actually do something about our financial situations. With the help of our Charlotte estate planning attorney, you can retire earlier than you might have expected. The idea that early retirement could be made possible with a sound estate plan probably sounds absurd. 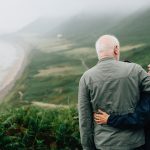 The reality is that estate planning encompasses a broad array of tools and strategies that are every bit as important to how you enjoy the rest of your life as they are to what happens when you die. That’s because a comprehensive estate plan includes more than just your will, trusts, and powers of attorney. It also incorporates effective financial planning – the key ingredient you need to properly prepare for retirement. Many people don’t realize just how important financial planning can be as a part of their estate planning efforts. Your estate plan is indeed designed to ensure that your assets are protected so you can pass them on to your heirs when you pass away. But if that were the end of the story, you could accomplish the same thing by simply liquidating everything you own and safely depositing the money in your personal safe – or in a hole in your backyard. While some might be satisfied with a simple estate plan, the person who wants to retire early has to consider other aspects of planning too. You need retirement planning that views all your income and property as assets that must be managed for maximum return over time. It all starts with an emphasis on controlled spending and a savings plan that is designed to grow your wealth over time. The money you are able to save should be invested in ways that will enable you to take advantage of not just interest, but other growth opportunities. Tax savings is important too so you should consider an individual retirement account as well. An IRA offers tax deferment opportunities that can help you get more of your income into your investment vehicle. These and other retirement accounts can help you to acquire substantial amounts of wealth over time to ensure that you have what you need when you retire – and enough to leave a legacy behind for your loved ones. Your estate plan can accomplish many important goals, but it needs other planning strategies working in concert with it to meet your financial needs. While financial planning can help you to build wealth over time through wise management of your resources and retirement planning focuses on directing a portion of today’s income and assets toward tomorrow’s needs, your estate plan brings all of these strategies together in a more comprehensive way. With the right comprehensive plan, you can build the type of wealth that you need to retire early, protect it from creditors, bankruptcy, and lawsuit, and secure the legacy planning needed to distribute everything to your heirs when you die. Of course, none of this just happens on its own. By some estimates, you’ll need to have roughly eighty percent of your current annual income for each year you expect to be in retirement. For the average retiree, that usually means acquiring roughly ten to twenty years’ worth of that income amount to have enough money to maintaining today’s current living standard during the retirement years. 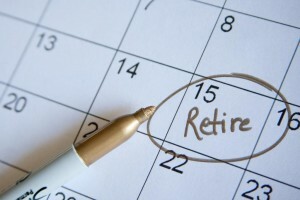 If you plan to retire earlier, you’ll likely need even greater resources. 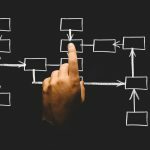 To accomplish that goal, you’ll need to do two things: start planning now and get professional help to ensure that your planning efforts are done right. Join us for a FREE seminar today! 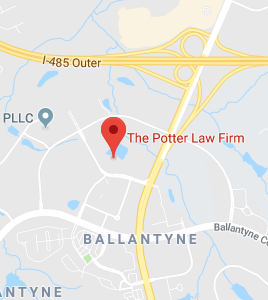 If you have questions regarding retirement and financial planning or any other estate planning matters, please contact our experienced attorney at The Potter Law Firm in Charlotte for a consultation. You can contact us either online or by calling us at (704) 944-3245 (Charlotte, NC, and Huntersville, NC). We are here to help!